I must being doing something right because an O-6 select reader of the derpreport called me and asked for travel advice (I’m a lowly O-3). This senior officer has met all the requirements for United Silver Premier Status. He has flown the 25,000 PQM needed for silver , he lives overseas so his PQD is waived, but he is short 2 United segments out of the four. He doesn’t have any more trips on United for the year. He could say forget the whole thing because it seems like a lot of work. Before my good news of successful application of the SCRA for my United Club Card I had booked a trip just to get the required United Segments. It involves flying from Naha to HND on ANA then taking a train thru Tokyo to NRT. Then flying to Singapore on United to spend 20 hours there to eat some good food. Then fly SIN to NRT to fly JetStar back to OKA. Sounds crazy, but last year I flew ANA to HND, then took a train to NRT to fly back on JetStar the same day just to spend 16 hours in Tokyo. This flight got me enough miles to get Silver Premier Status for 2015. So why is Silver Premier worth it? 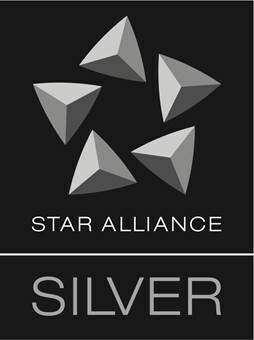 Silver Premier is the equivalent to Star Alliance Silver and therefore valuable on Star Alliance carriers. For example the best benefit is to not get bumped from a flight that you were already bumped from due to weather or cancellation. On all SA carriers you will have priority wait listing on the next flight. Also most of the time you have priority boarding, which is a non issue because if you travel with an infant, you get to pre-board anyways. Silver Premier status on United is nice, you get your own premier phone line that goes right to a human, and you also get free upgrade to Economy Plus when a seat is free. That itself can save you at least a $100 on international flights. Luggage is also tagged as priority and is brought out first at the baggage claim saving you time at arrival. So the answer is if your so very close to obtaining Silver, I think its worth a Mileage run or Club Card Membership just to get yourself the Silver Status for the year. This will save you time at the airport with premier access benefits, but more importantly you will not get stranded when a typhoon hits and cancels your flight back home. Your silver status will get you that seat on the next Star Alliance flight (assuming you were booked on a SA flight). So with this typhoon season looming, rest assured you can get a seat and not be the one getting bumped.